Ready for hunting season? 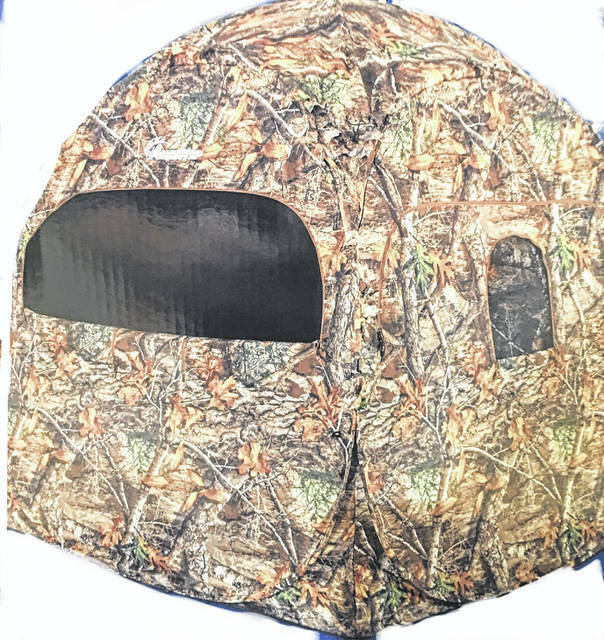 Hide out in style this year with the latest camouflage gear. Fall is not just the best season of the year because of cooler weather, football games, pumpkins, autumn leaves, Halloween, Thanksgiving and campfires. Fall is the prime hunting season and it’s just around the corner. Get that deer stand ready. White-tailed deer archery season kicks off Sept. 29 this year and runs through Feb. 3. The deer youth gun season is from November 17 through November 18 followed by the deer gun season that runs from November 26 through December 2 and also from December 15 through December 16. Muzzleloader season will be from January 5-8. An annual resident hunting license this year costs $19, a resident youth is $10 and an annual nonresident license is $141.50. A hunting license is free for Ohio residents born on or before December 31, 1937. All Ohio hunting licenses run from March 1, 2018 through the last day of February 2019. Licenses can be purchased at retail outlets, from your home desktop computer or even from a mobile device. ODNR will allow a license to be displayed to a wildlife official from your mobile device, however deer and turkey permits are only valid when printed and carried by the hunter. The fall turkey season begins Oct. 13 and will run through Nov. 25 this year. The Lake Erie Marsh Zone waterfowl hunting season is from October 13 through February 9 with various other specific dates for different species. Furbearer trapping season opens Nov. 10 and goes through Feb. 28, 2019. According to the ODNR Division of Wildlife landowners written permission is required for hunting and trapping on private land regardless of whether the land is posted. The penalty for hunting without written permission of the landowner for a first offense is 60 days in jail and a $500 fine. The ODNR Division of Wildlife has five different Wildlife districts throughout the state with many different authorized hunting areas to choose from. Additionally, there are over 49 ODNR public shooting ranges in Ohio to hone up on your shooting and archery skills. Always adhere to safe hunting practices, hunt only in authorized areas and be aware and look out for nearby hikers, mountain bikers and trail runners. For addition information and license requirements contact wildohio.gov.